Nighttime invites roaming about, but gathering inward as well, searching and contemplations. It is connected to mysteries, witchcraft, to sleep and to dreaming. A dream facilitates the rising of the unconscious, touches places of inner shadow and leads to changes in consciousness. Eight artists embark on an inner journey and return to themselves, presenting their interpretations of the subject. The exhibition will look into the possibility that such works reflect the spirit of the times through their searching for the human and the intimate in a world dominated by virtual social networks and a global flooding of information. Max Epstein roams about Jerusalem, the source of inspiration for his creations. The “Coal” installation is a response to the fire that broke out in the Jerusalem Forest. A photo of the Forest, a sculpture in clay, a collection of branches and other objects that he recycles and burns, transform into the backdrop of a dream. Yossi Waxman recalls canonical works, sometimes in a defiant way. In his expressive work, the old soldier is surrounded by a nightmare of grotesque, winged creatures and wild beasts, alluding to Francisco de Goya’s print, "The Sleep of Reason Produces Monsters," as well as to the Soldier Series of Moshe Gershuni. 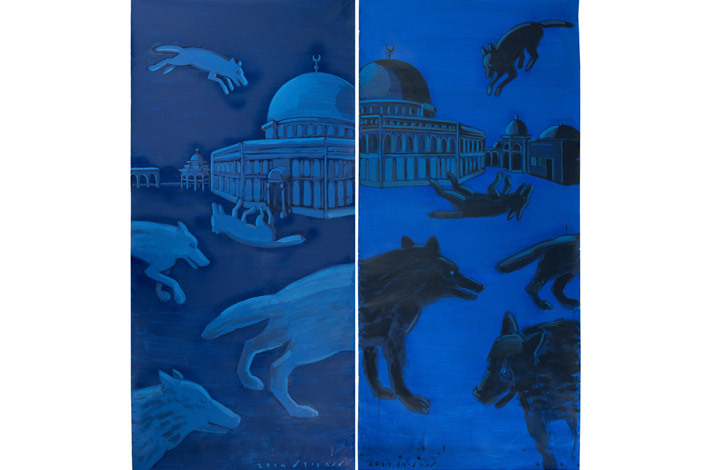 Lena Zaidel sends out her pack of wolves into the night, the Dome of the Rock Square, the Western Wall Square, and into other controversial places. For her, the wolf is a purifying and liberating figure. 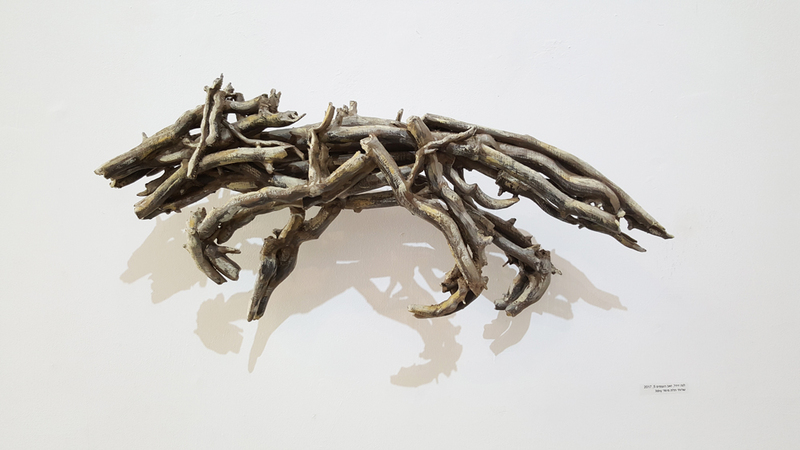 The Wolf of Branches creates movement and drawing in space and is a reminder of the hidden phenomena that take place in nature. Oded Zaidel paints pieces of nocturnal urban scenery, among which are construction buildings and factory yards. His paintings merge free hand paintbrush with geometric shapes, holding a dialogue with the founders of abstract art. Michael Yakhilevich lays figures in boats floating aimlessly. Someone jumps at night from a bridge into the water, a lifesaver tube is thrown to him, but in the background, is the threatening image of a skull. The works allude to the presence of death despite the colorful pastels and the soft treatment. Boris Katz deals with thoughts and delusions connected with the sin of lust. He alludes to the Prodigal Son who abandons his father’s home, wastes all his money on a life of debauchery, then decides to come home. His journey home is the subject of Katz’ work. Yuval Kedar reflects upon sleeping people and is fascinated by their ability to detach from reality. His sleeping wife is surrounded by vegetation that seems to grow from her head, or perhaps from her dream. An old African refugee sleeps in an open lot in Tel Aviv, his head looks like a stone and he lacks body and roots. Nadia Adina Rose uses objects from her childhood home, usually connected with sleep: pillows, blankets, sheets. She finds in them levels of memories and dreams that transform into something new. It is surprising to see how much this theme is on the mind of the artists. It raises the question if this is some trend of escapism or perhaps just the opposite: the detachment from the urgent and the immediate is what facilitates a connection with an inner world and for a lucid observation of reality?